Pat Bazeley was awarded a PhD in community psychology for an action research based thesis which argued that community development was an effective strategy for the promotion of mental health in a disadvantaged population. After graduating she worked in community development and as a freelance researcher, undertaking projects in public health, welfare, education, law and community studies. From 1991-9 she was responsible for research development and administration for academic staff at the University of Western Sydney, Macarthur. Currently, she is an Adjunct Professor with the Translational Research and Social Innovation Group in the Faculty of Nursing and Midwifery at Western Sydney University. From 2000-2013 Pat provided research training, consulting and retreat facilities for researchers at Bowral, in the southern highlands of NSW. She continues to provide occasional training and consulting services for academics, graduate students and practitioners in universities, government departments and commercial organisations both locally and internationally. 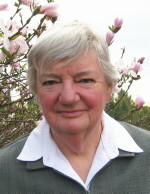 Her particular expertise is in helping researchers to make sense of qualitative, quantitative, and mixed methods data and in using computer programs for management and analysis of data. Her passion is to help people move beyond simple descriptive analyses of rich data. Pat has a particular interest in mixed methods research, where she is exploring tools and techniques for integrating analyses of different forms of data, and the methodological implications of doing so. She was 2015-16 President of the Mixed Methods International Research Association. Pat is currently on the Editorial Boards for the Journal of Mixed Methods Research and Qualitative Health Research, having served in the past as an Associate Editor of the Journal of Mixed Methods Research. She has published books, chapters and articles on qualitative and mixed methods data analysis. She has also published on immunisation services, and on the career development and performance of researchers.